Annual climate change reporting is catching on among cities. CDP hosts disclosure from 73 cities and local governments this year—up from 48 last year—from all corners of the globe, including every continent except Antarctica. Participants range in size from the city of Tokyo, population 13 million, to the village of Kadiovacik in Turkey, population 216, and include over 75% of the membership of the C40, a group of mega-cities dedicated to climate change leadership. The breadth of responses demonstrates that local governments in every region of the world, regardless of their size, can participate in annual climate change reporting. Cities report emissions totalling 977,659,014 tonnes of CO2e. This number represents an increase of 43% from levels reported last year, resulting from the larger number of cities reporting this year. At nearly 1 billion tonnes of CO2e, reporting cities account for emissions that are roughly equal in size to the emissions of Canada and Brazil combined. Larger, denser cities, on the whole, demonstrate smaller per capita greenhouse gas emissions (GHG). Per capita GHG emissions vary widely from city to city, but our analysis— based on emissions inventories from 51 cities—supports the understanding that larger, denser cities tend to be more emissions-efficient. City governments anticipate economic opportunities from climate change. 82% of responding cities say climate change presents economic opportunities. Green jobs and development of new business industries top the list of anticipated economic opportunities, with over half of responding cities expecting more green jobs or new business opportunities resulting from climate change. Climate change risks to cities are here and now. Despite an increase in the number of cities reporting to CDP this year, the percentage of cities reporting themselves at risk from climate change remained the same compared to last year, with 89% of cities identifying physical risks from climate change. The timescale of many of these risks is immediate—39% of all risks are classified as “current”, compared to just 14% of risks classified as “long-term”. City governments with emissions reduction targets report three times as many emissions reduction activities as cities without targets. This finding suggests that setting reduction targets provides a strong catalyst for taking action to reduce greenhouse gas emissions. Municipal governments report that they are primarily funding climate change actions themselves. 64% of reported emissions reduction activities are financed through general municipal funds, compared to 7% supported by grants or specific subsidies. The private sector accounts for 14% of financing, while development banks finance less than 1% of total emissions reduction activities. Many of the cities reporting to CDP this year are member or affiliate cities of the C40 Cities Climate Leadership Group. In November 2011—for the second year in a row—C40 Chair and New York City Mayor Michael R. Bloomberg invited the 58 C40 cities (40 participating cities and 18 affiliate cities)1 to report their climate change-related data to CDP. Forty-five C40 cities answered Mayor Bloomberg’s call; the results are included in this section. C40 cities show an improved commitment to annual disclosure this year. Forty-five C40 cities report on their climate change activities this year, up from 42 cities last year. Energy and transportation top the list of reported emissions reduction initiatives for C40 cities. 80% of C40 cities disclose actions in the energy sector, while 73% disclose actions related to transportation. All told, C40 cities report 489 total actions designed to reduce emissions. Fifteen C40 cities report updated city-wide emissions inventories, demonstrating world-class leadership in annual assessment of their greenhouse gas emissions. Eight of those cities report reductions in emissions from last year. Reflects the number of members/affiliates as of November 2011. More than 25 city governments mention the word “innovation” in their responses to CDP this year. This section looks at what’s ahead for cities when it comes to climate change, utilizing CDP responses as well as interviews with city government staff members around the world. Putting data to work for your city. New research from The Climate Group and others shows the data explosion that is happening in cities—and how city governments are partnering with their citizens to put the data to work. 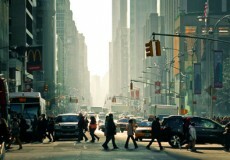 Four city innovations to watch in 2012. St. Louis, Greater Manchester, Miami, and Warsaw highlight the next big things in their cities. The Global Protocol for Community-scale Greenhouse Gas Emissions. Ten Cities to Follow on Twitter . Can cities use real estate strategies to deal with climate change threats? Dan Probst of Jones Lang LaSalle shares tips. What are the next big technologies for cities? Emma Stewart from Autodesk and Simon Giles of Accenture explain the next big technologies that can help cities address environmental issues. Can a city government be innovative? Michael Armstrong of the City of Portland, Oregon shares his views. Necessity is the mother of invention. Rodrigo Rosa of the Prefeitura do Rio de Janeiro explains the thinking behind the new Rio Operations Center. Here you can find the documents for debate allowing us to advance on the reflections and issues of Rio+20. They can be concept papel, analysis, notes and reports.